Welcome to Shalom Hair Braiding. 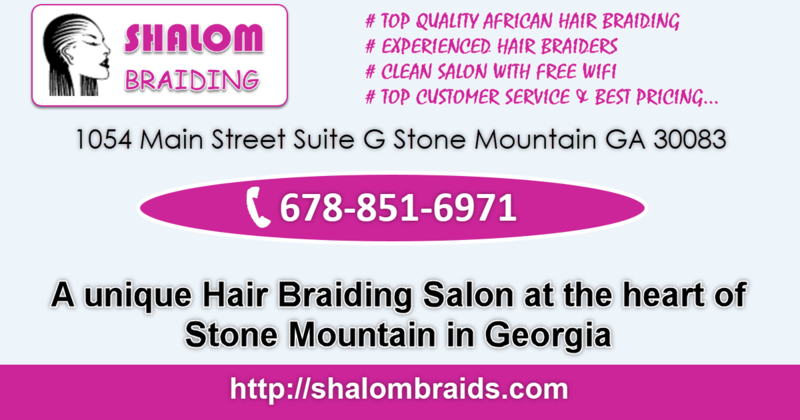 Shalom Hair Braiding is a beautiful Hair Braiding Salon and Shop in Stone Mountain GA. With over 15 years of experience, Shalom Hair Braiding delivers the best hair braiding experience you can dream of. With affordable prices, qualified Hair braiders, a warm comfortable environment, and great customer service, Shalom Hair Braiding is the Hair Braiding Salon of choice for may Georgians.